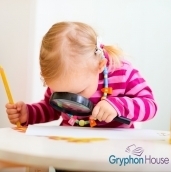 Gryphon House’s intuitive and fun science activities for toddlers, infants and preschoolers help boost your child’s motor skills and cognitive development through hands-on exploration. Our award-winning, open-ended science resources include activities that empower children to develop skills that can help lead to adulthood success. 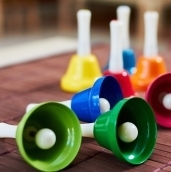 Music is a fun and engaging way to teach children about science because they almost always bring out children’s scientific curiosity. 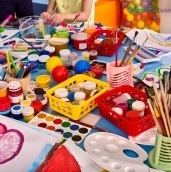 All sorts of science experiments exist for children to participate in, and they love all of them science experiments they do have the chance to participate in! Their naturally curious minds keep them engaged during experiments, making it easy to introduce them to scientific concepts. As we grow up, we form many misconceptions in our minds. You may have heard that lightning never strikes in the same place twice or that mother birds abandon their chicks if they are touched by humans—these are two common misconceptions. 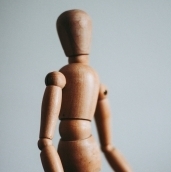 No direct harm usually results from believing misconceptions, but if there is a way to prevent as many misconceptions from forming in children's minds as possible, shouldn't we take it? From birth, all children are scientists; however, children exemplify what it means to be a scientist during the early childhood years. 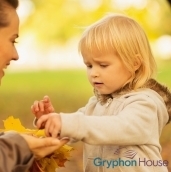 Children are innately curious about the world around them, causing exploration to occur. This exploration of the world has children naturally engaging in acts of observation, manipulation, and experimentation. So how can educators and guardians help their little scientists learn more about the world? Halloween is here! 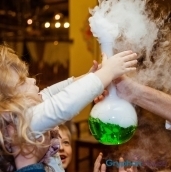 Start celebrating by turning students into mini mad scientists with dry ice experiments. This activity is cool and spooky enough to make any classroom Halloween-ready. 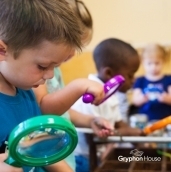 For teachers looking to build a well-rounded curriculum, Gryphon House authors have used their science and early childhood education expertise to develop more thoughtful science experiments for kids and toddlers. Our collection of experiments helps to encourage children to grow into young investigators through hands-on exploration exercises. For younger children, our preschool science experiments offer avenues to leverage children’s curiosity and energy. Through these exploration activities, children learn investigative concepts by moving around, and through traditional observation. By using active, engaging science activities, children are encouraged to experiment, discover, and analyze. 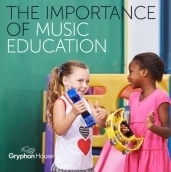 With Gryphon House’s books and free resources, educators can integrate STEM methods into daily or weekly activities. 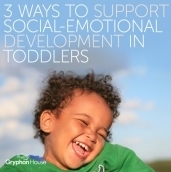 Our available resources also lead parents through easy to follow science activities for toddlers, in order to help foster their child’s continued science education at home. 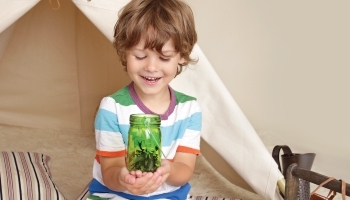 Take advantage of children’s natural curiosity through our free, hands-on science activities. Our explorations cultivate young minds by encouraging children to question and explore their surroundings. 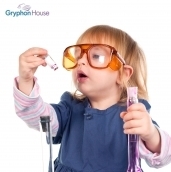 Browse Gryphon House’s science activities above and get started today on fostering children’s brain development. For updates on new activities from our team, follow us on Facebook and Pinterest, or contact us today! We observe the latest studies and news to find useful activities for educators and parents as they nurture scientific interest their children.